Do you think drinking saltwater counts as a kind of sushi? All files available as WAV and MP3. 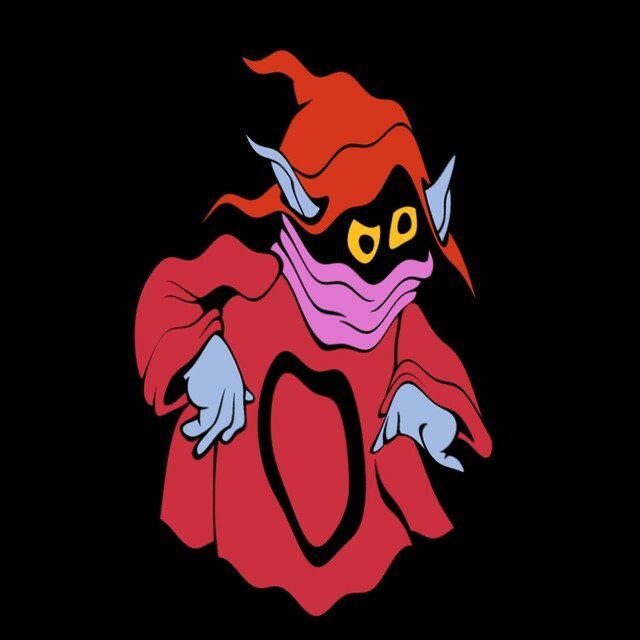 Download links will be emailed to you by a wizard in a red hat. 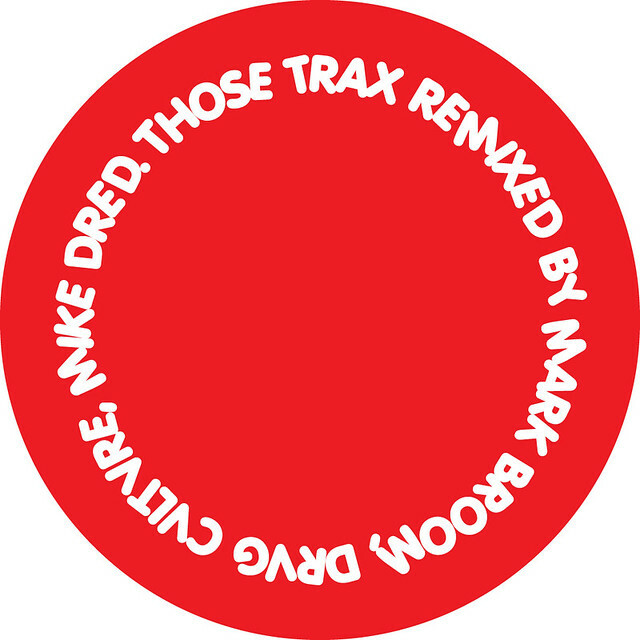 Remixes from Mark Broom, Drvg Cvltvre, plus 4 lock-groove remixes by Mike Dred. Black vinyl, white label, red/white sticker on PVC sleeve. 100% juicy pumping techno slime. 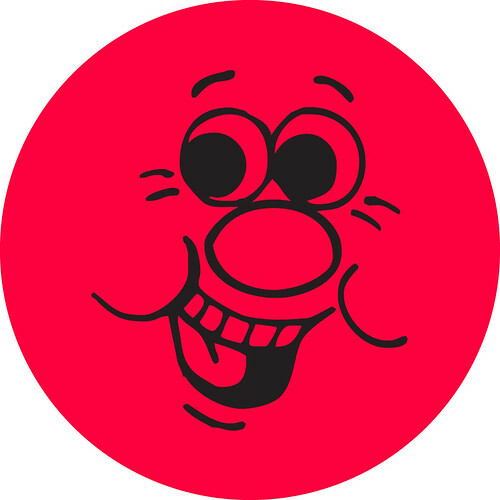 Download links will be emailed to you by a talking bouncy ball. 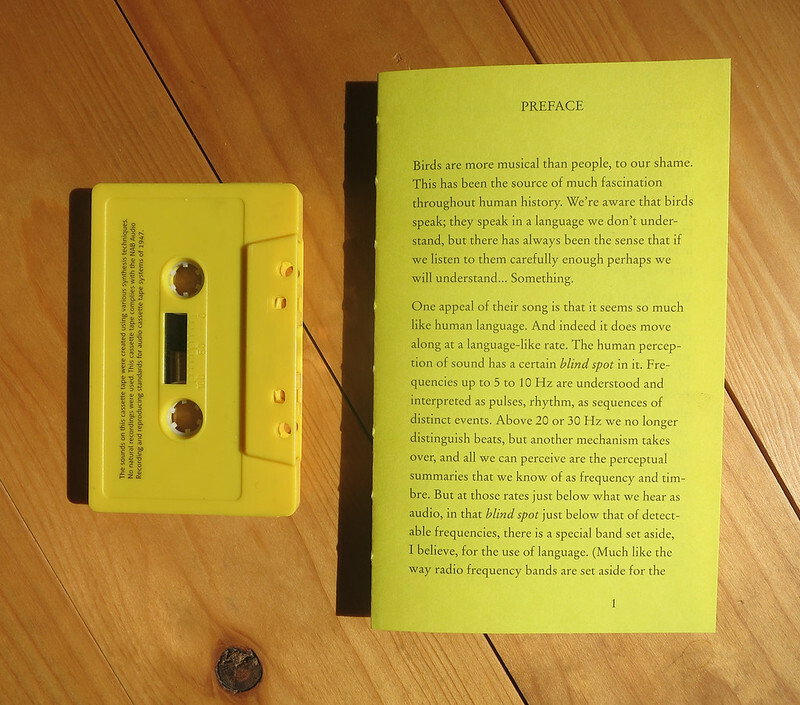 Cassette tape + 64 page booklet. A collection of synthesized bird calls by Chris Brown, Oswald Berthold, Anders Dahl, Joe Gilmore, Roc Jiménez de Cisneros, Fredrik Olofsson, Tim Perkis and Peter Worth. ZIP file with over 11 hours of NEW and very RARE stuff. A whopping 119 tracks + 1 movie! 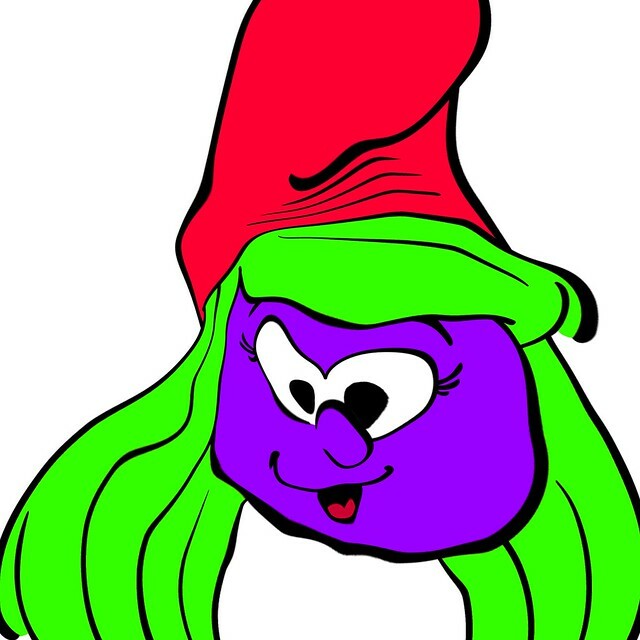 Download links will be emailed to you by a smurf. 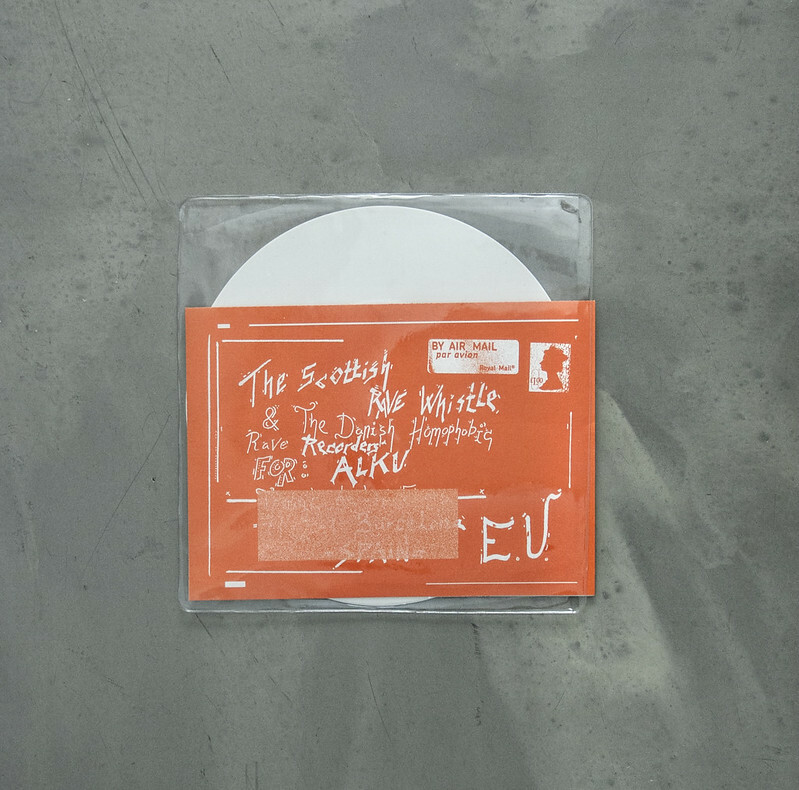 White vinyl 7" + 8 page insert. The G-man goes full-on rave, Goodiepal style. This is the sixth in the ALKU series of acoustic recordings. 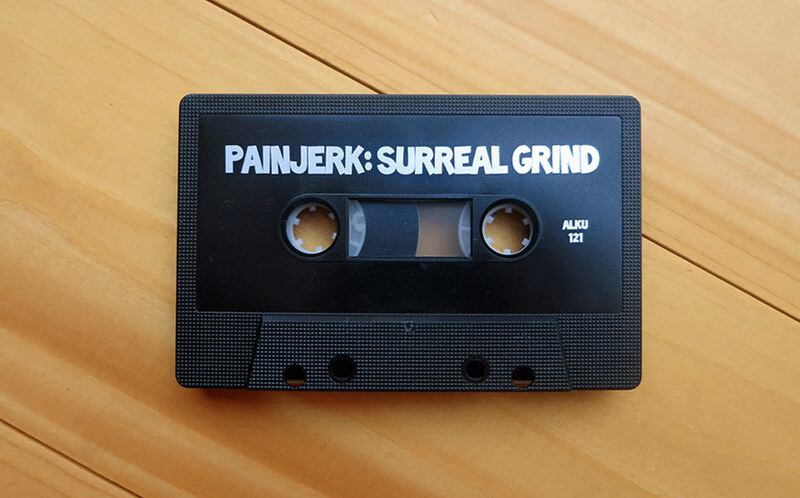 Limited edition black chrome cassette, silver print. Two monster tracks full of sense of humour, blasting dynamics, squeaky synths, punching beats, slimey samples and more. DON'T call it japanoise, DON'T call it improv. This is PAINJERK!!! Binaural recording of van der Heide's homonymous installation, in which a horizontal plane of pneumatic valves is used to produce wind, pressure and sound, thus creating a continuum between rhythmical perception of sound, spatial perception of sound and the perception of pitch. This is the fifth in the ALKU series of acoustic recordings. Measurements: 335 x 460 mm. Silkscreened with a custom made pigment on premium quality 310 gsm Magnani paper made of cotton and alpha cellulose. 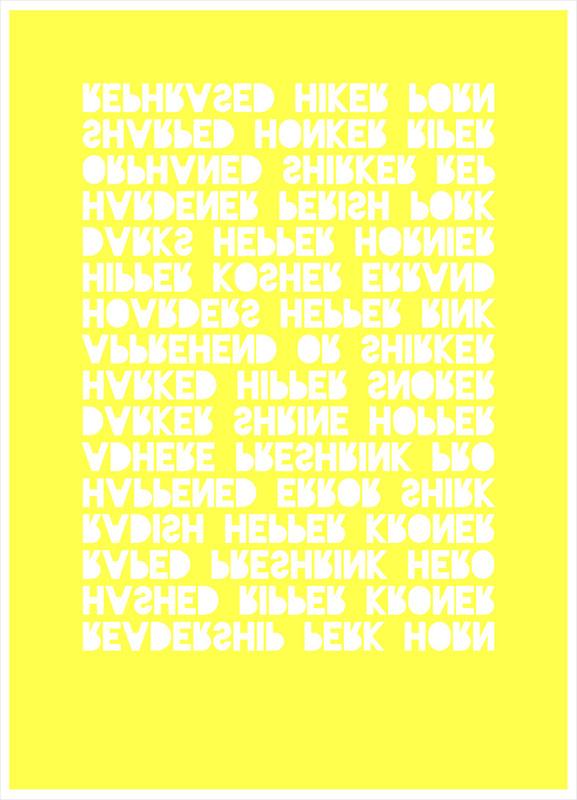 The culmination of the Proper Headshrinker trilogy is a poster containing our 16 favorite anagrams of the words "proper headshrinker". 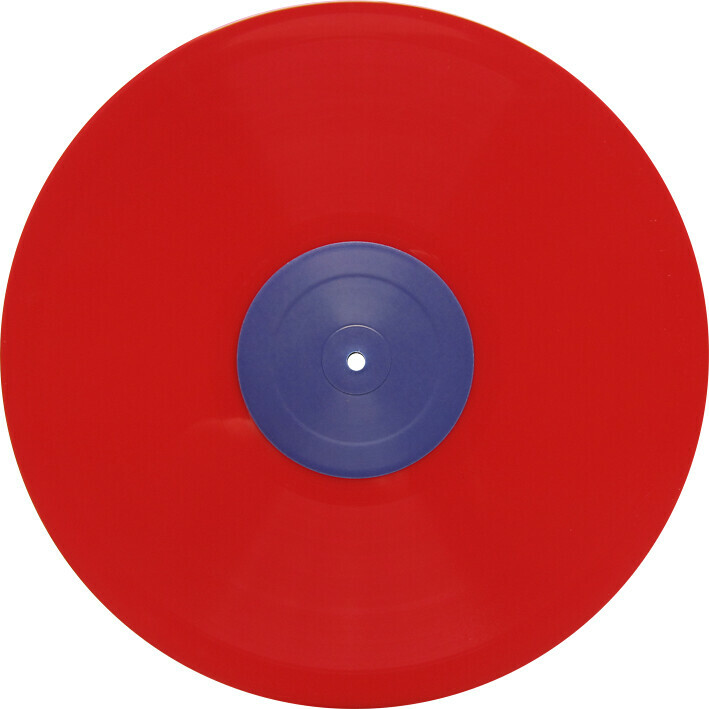 Limited edition red vinyl LP. 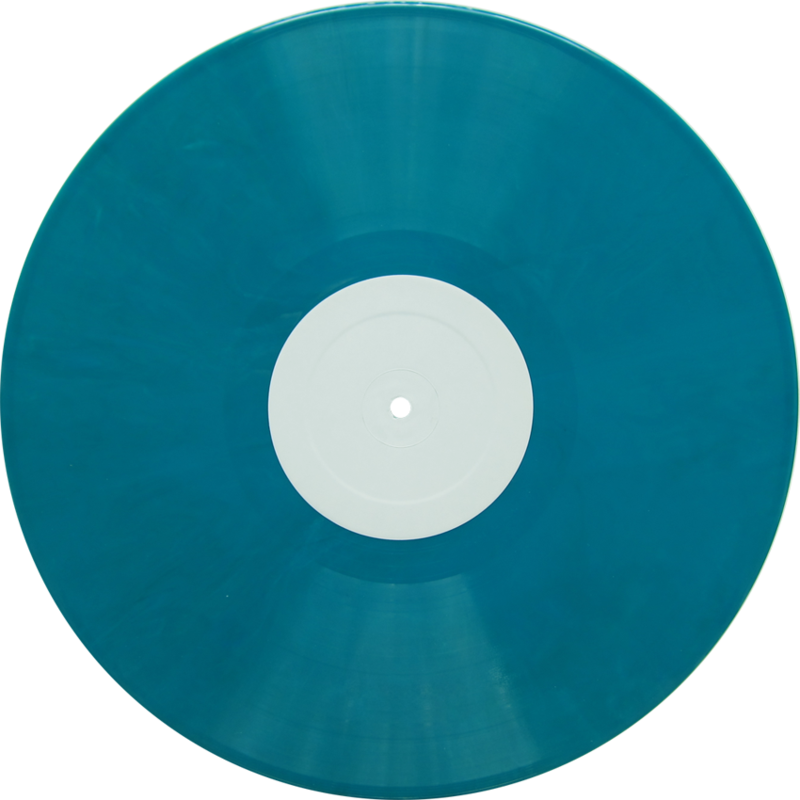 33 1/3 RPM. 30 minutes of Poing meltdown. Comes in a 140 micron polished finish PVC sleeve. Side A plays inside out!!! 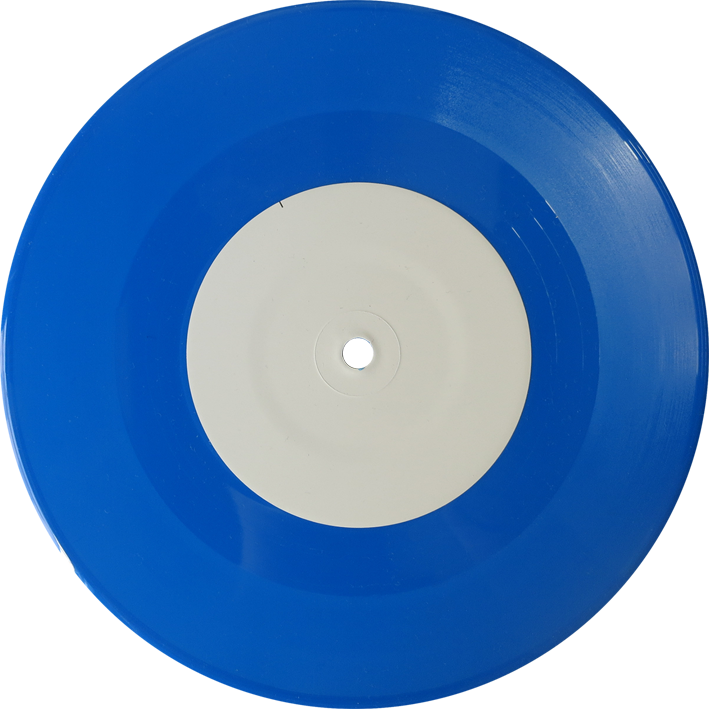 Limited edition ocean blue vinyl LP. 33 1/3 RPM. The Goodiepal's earliest recording, lost for over 20 years, now found and finally published. LP comes with 2 inserts with liner notes and autostereograms printed in heavy golden yellow paper. Next level new age. 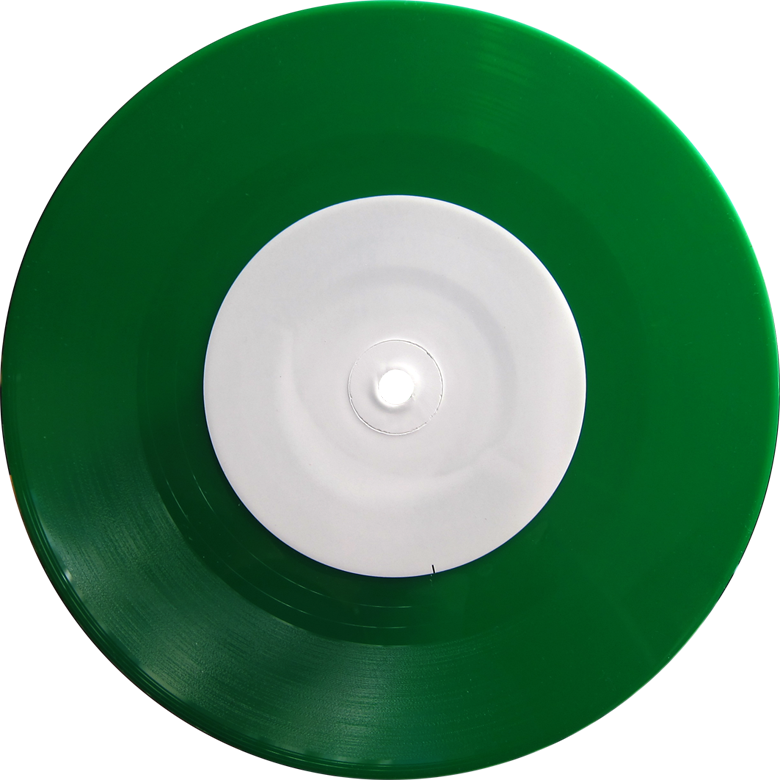 Limited edition 7" green vinyl. 45 RPM. Malatesta's third part of the Bestiario series and the fourth installment of the ALKU acoustic recordings series. Percussion magic!!! 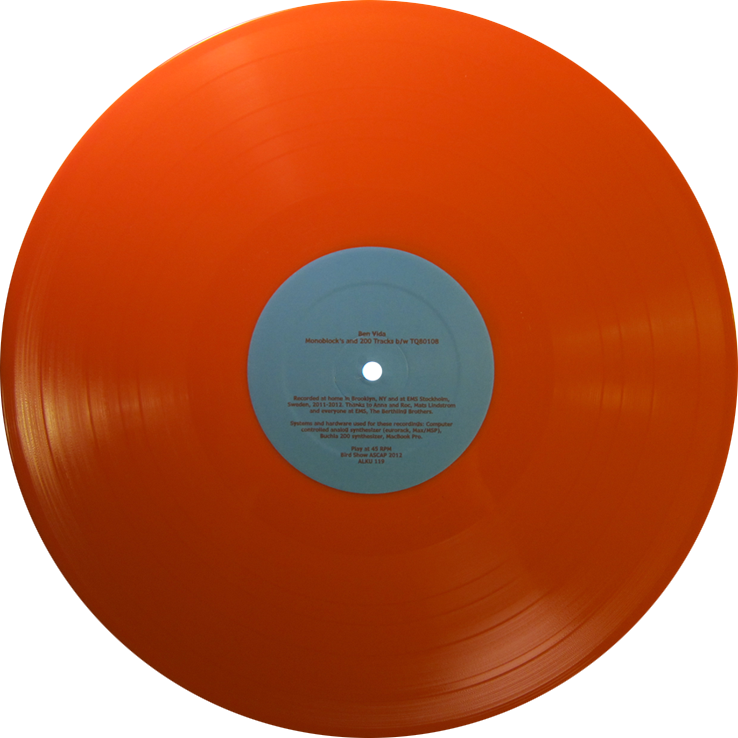 Limited edition orange vinyl 12". 8 tracks from the NYC synth master! Comes in a 140 micron polished finish PVC sleeve. 45 RPM. 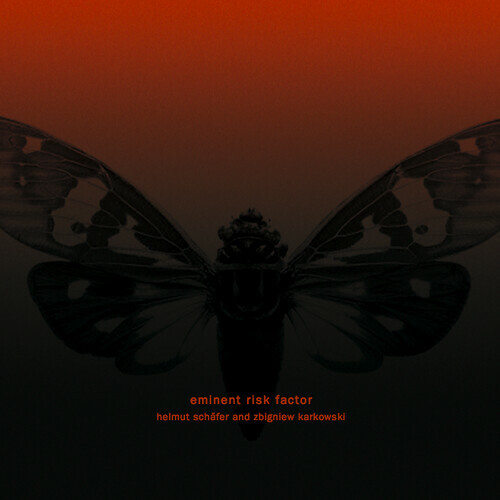 100% acoustic, binaural rave action, no electronics. 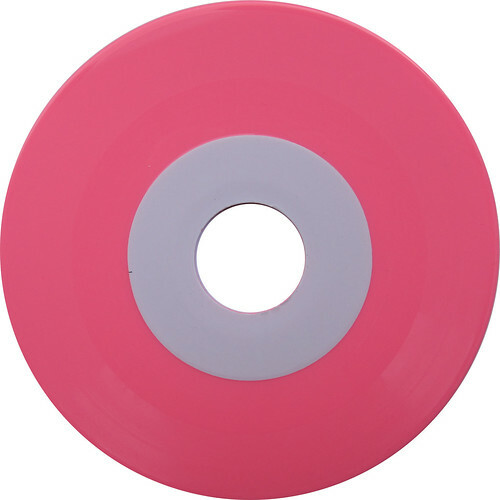 Limited edition 7" balloon-pink vinyl. Comes in a clear PVC sleeve. 45 RPM. Available in SMALL and WIDE hole. 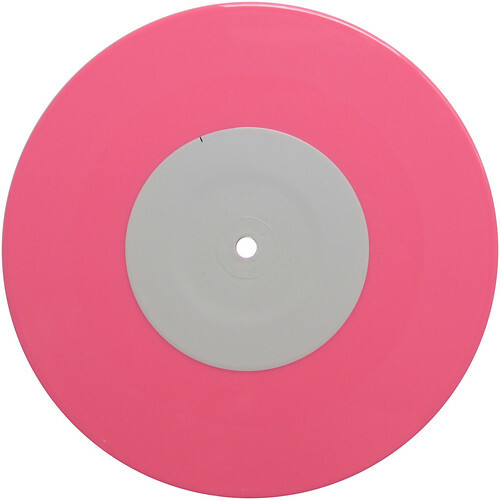 10" vinyl, 2 locked grooves. 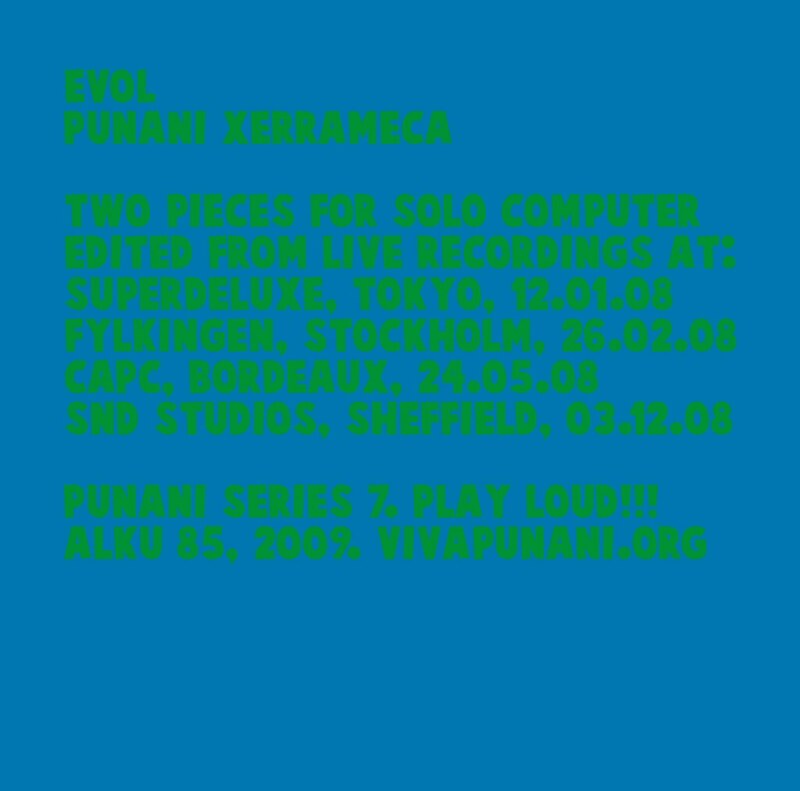 Two pieces for solo computer from live recordings in 2008. Compact Disc. 4 tracks. 35'12"
Compact Disc. 3 tracks for solo computer. Listed prices do not include shipping costs.